PFA Round Bottom Flask are made of PFA material which is Autoclavable. These round bottom flask are ideal for rotary evaporators and distillation of high purity chemicals. They have standard ground socket neck. 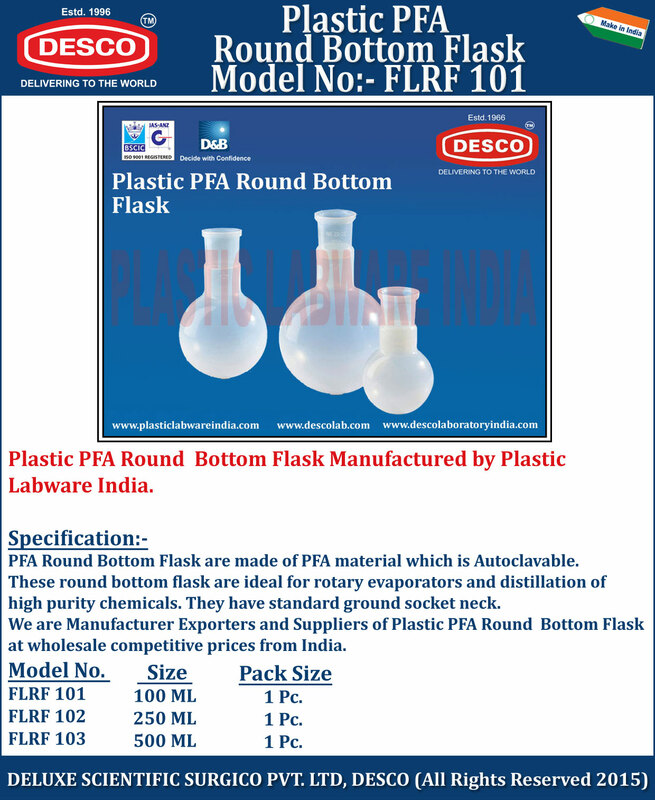 We are Manufacturer Exporters and Suppliers of Plastic PFA Round Bottom Flask at wholesale competitive prices from India. FLRF 101 100 ML 1 Pc. FLRF 102 250 ML 1 Pc. FLRF 103 500 ML 1 Pc.